D’Mall is known as the heart of White Beach and the island’s premier lifestyle center. This is where you can find various shops selling souvenirs, clothes, flip-flops, swimsuits, sports attire and a few truly great restaurants! 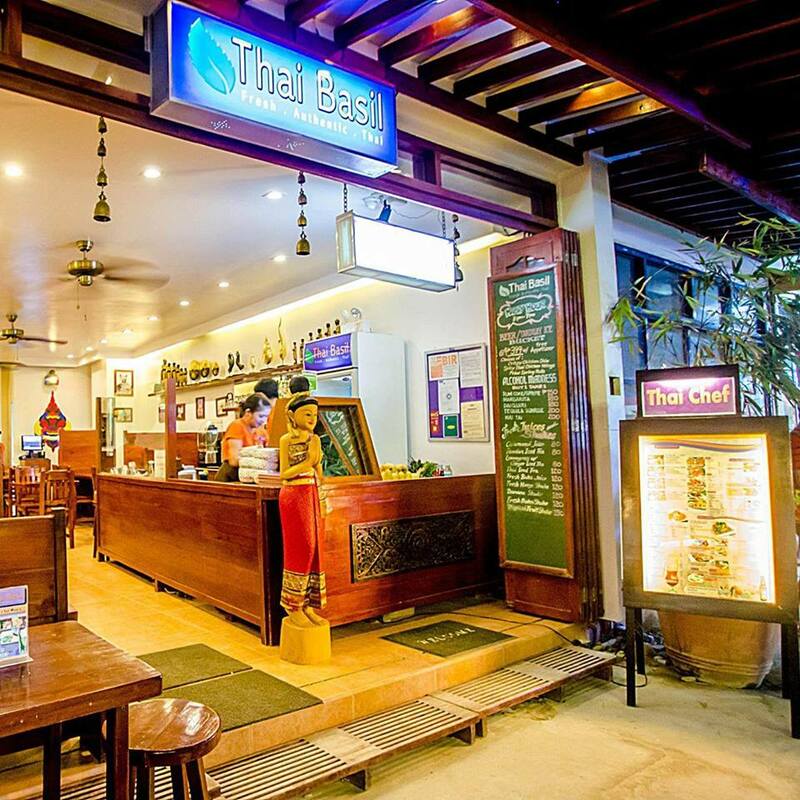 If you don’t want to go far, D’Mall will offer you a lot of restaurant choices depending on what type of dish you would want to try for lunch or dinner. 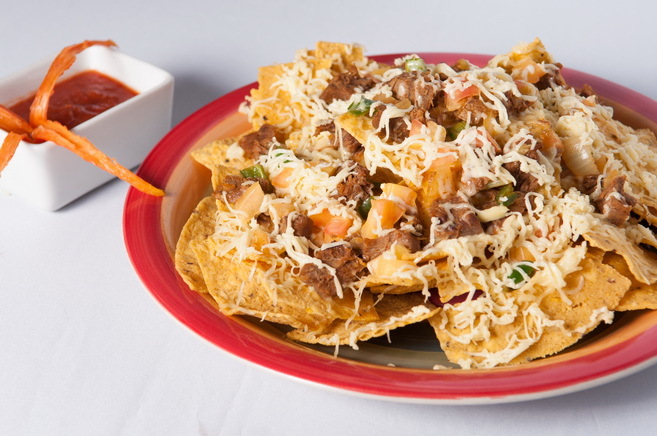 Italian, Mexican, American and Filipino food can be found here. Aria is one of the most dined restaurants found on white beach. 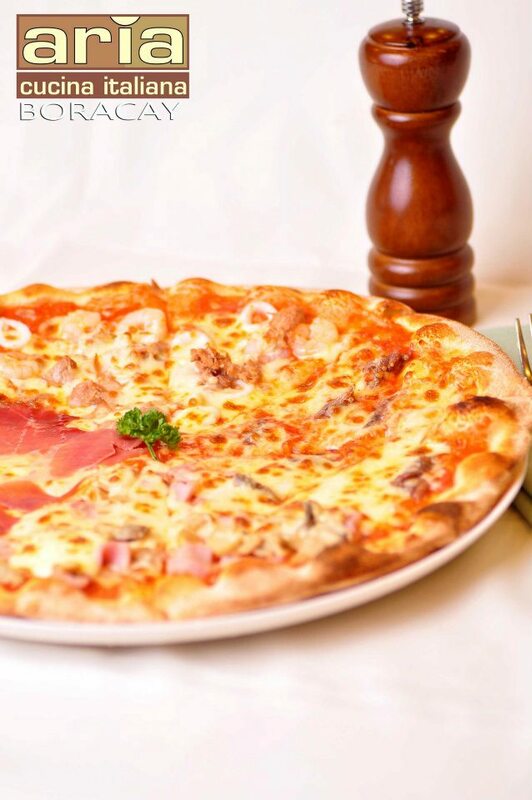 Italian dishes are its main courses and it even has a wood fire pizza oven. You can choose whether you like to be indoor or outdoor; Aria can still make your day. 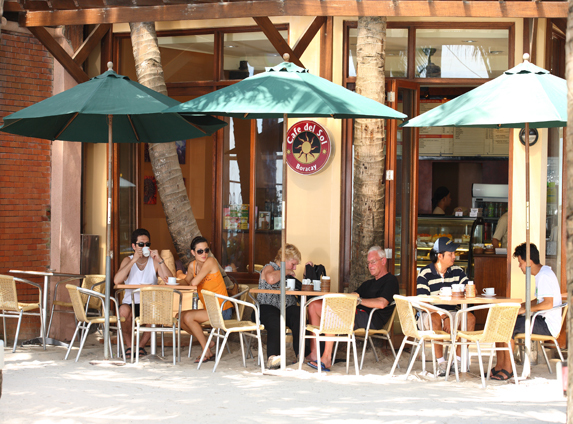 Aria is often visited by tourists just to chill and people watch – It’s an island hub. 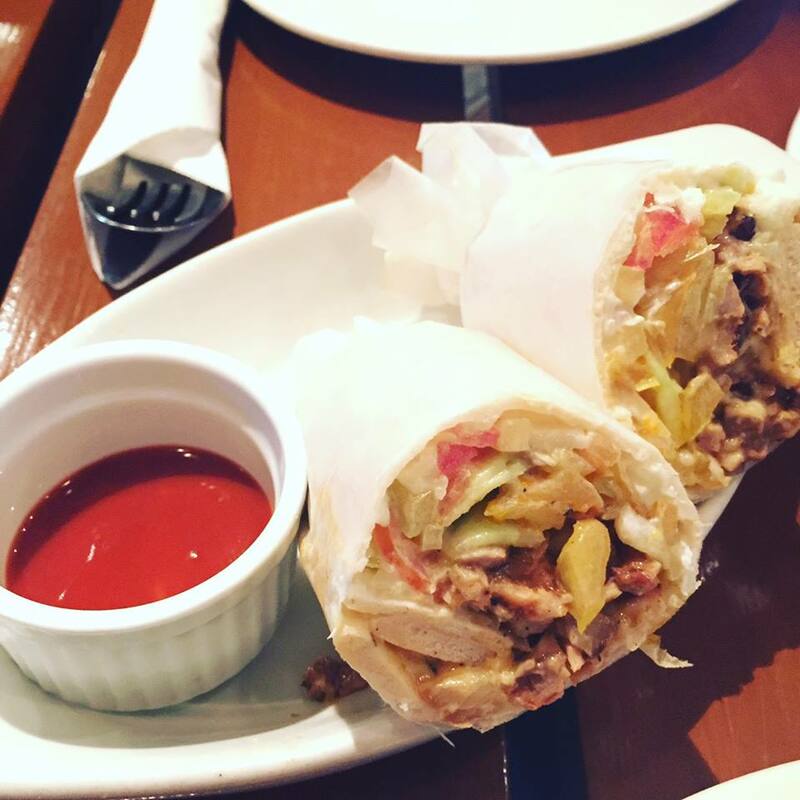 For breakfast, desserts, or coffee check out its sister restaurant Café de Sol right next door. 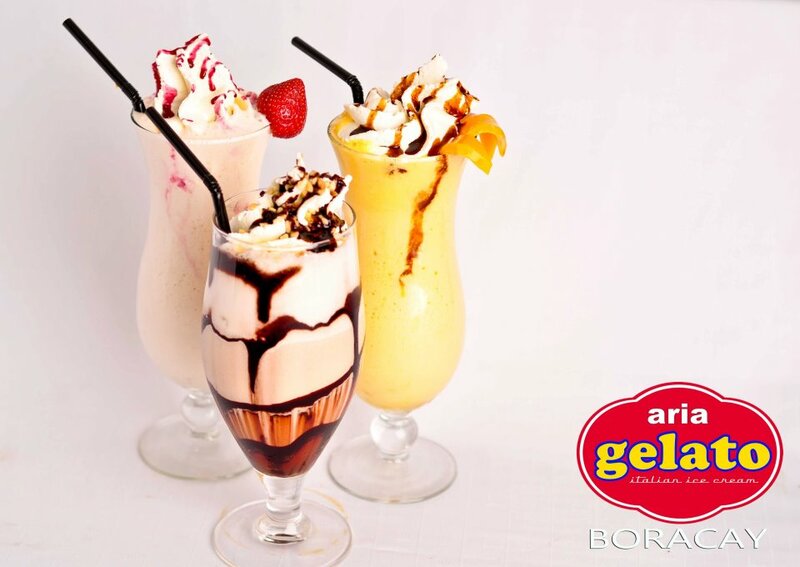 Aria Gelato can be found beside Aria where it offers you different flavors of gelato that will definitely satisfy your sweet tooth cravings. 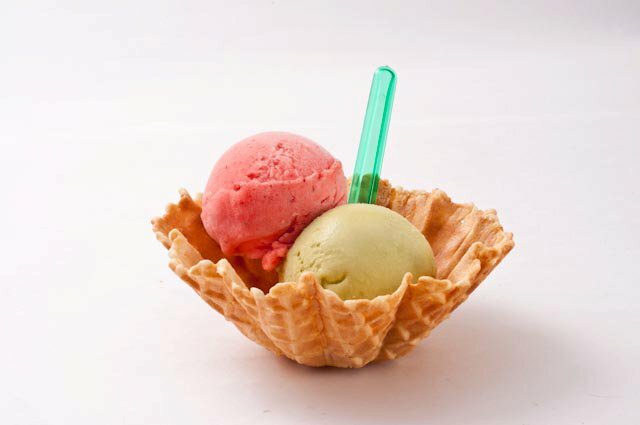 They have 18 homemade flavors daily and they also serve refreshing drinks perfect for a hot weather. This new halal restaurant is found beside Thai basil. It offers delicious Arabic food. Present the VIP Card and get Arabic Tea and Arabic coffee worth Php 500 for FREE or a 7% discount on your total bill! 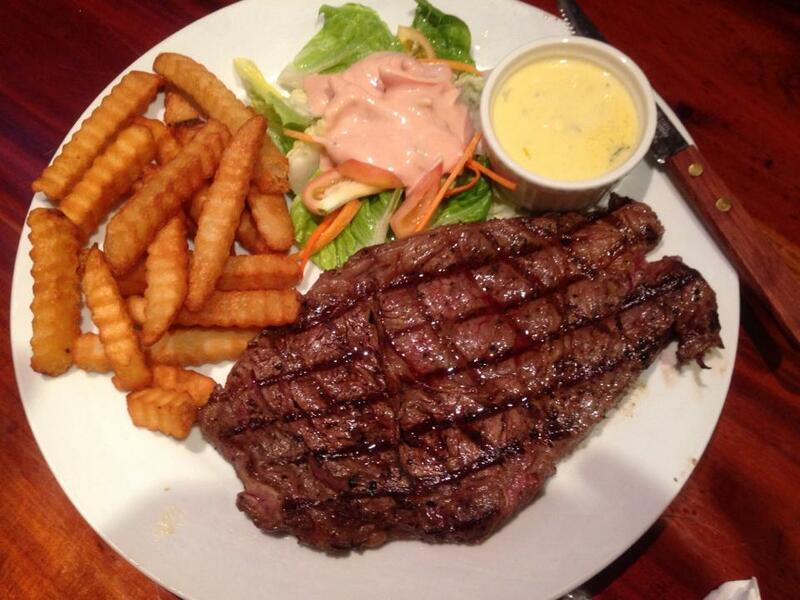 Try their best Kabsas, Salads and Steaks! 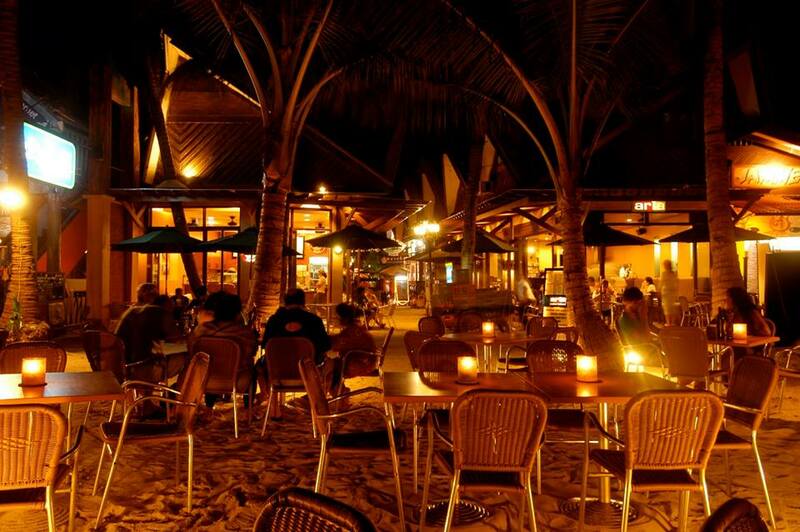 This is one of the best venues to watch people on the front beach while you enjoy a smoking hot cup of coffee. Found at the entrance to D’mall across from Aria – you won’t find a better place to chill out and enjoy Barista made coffee while checking out all the talent passing you by on White Beach – or – you can just sit down and finish your favorite book! 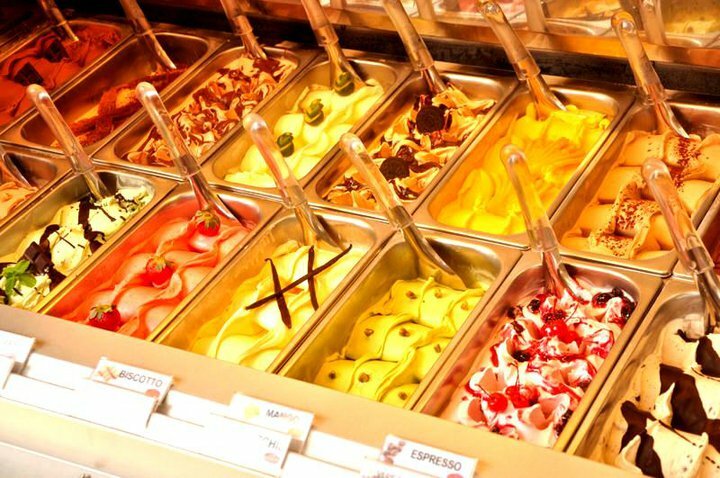 The desserts are surely to die for! 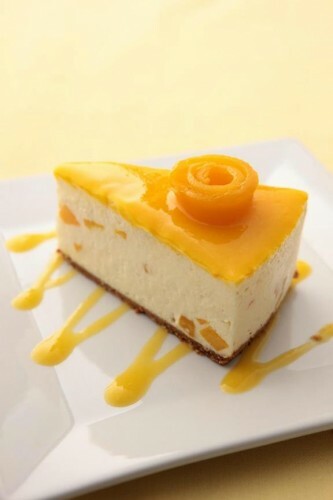 Try the Mango Cheese cake – you’ll never say that I was wrong. 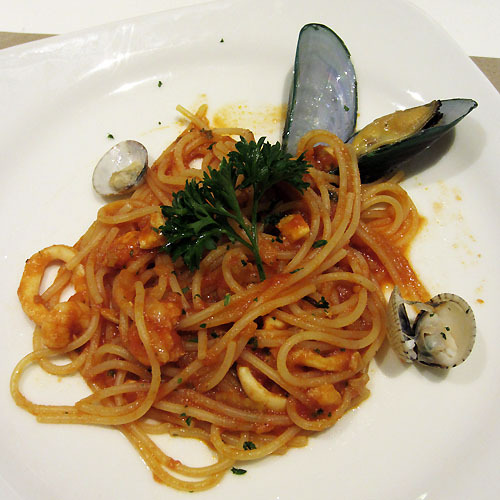 This is one of the most visited restaurants in D’Mall since they serve the best Greek cuisines ever. 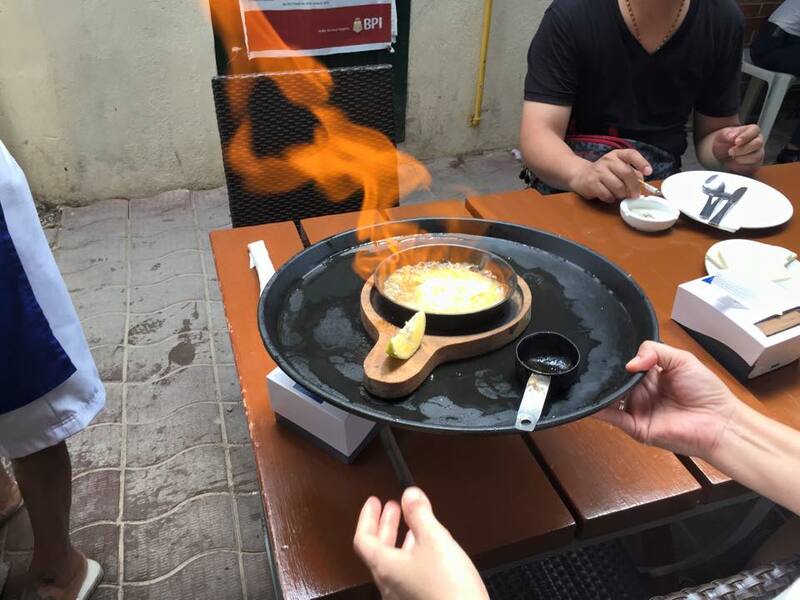 Try the famous Spinach and Artichoke Fondue or Flaming Saganaki (cheese), Greek salad, Chicken Gyros, or one of the mouth-watering lamb dishes – but it doesn’t matter because all of their meals are top end. 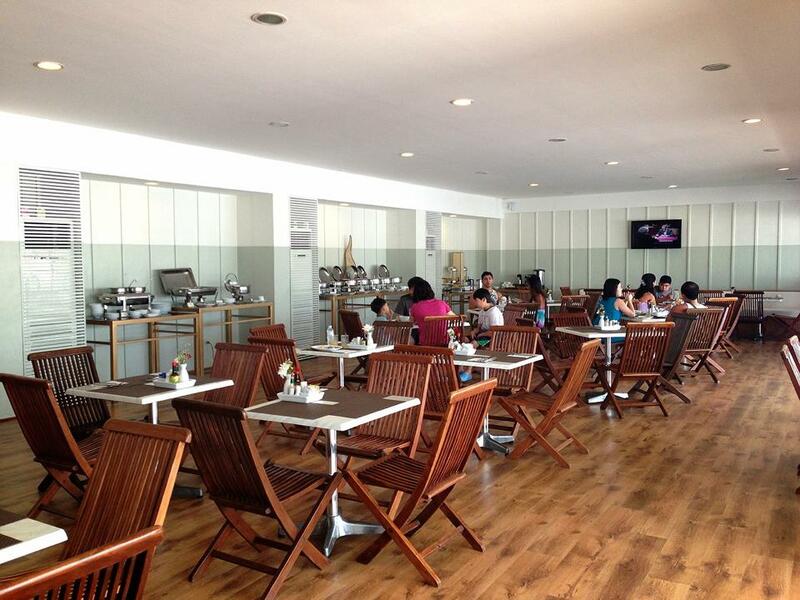 It’s perfect to dine together with your family or friends and best to make reservations first. 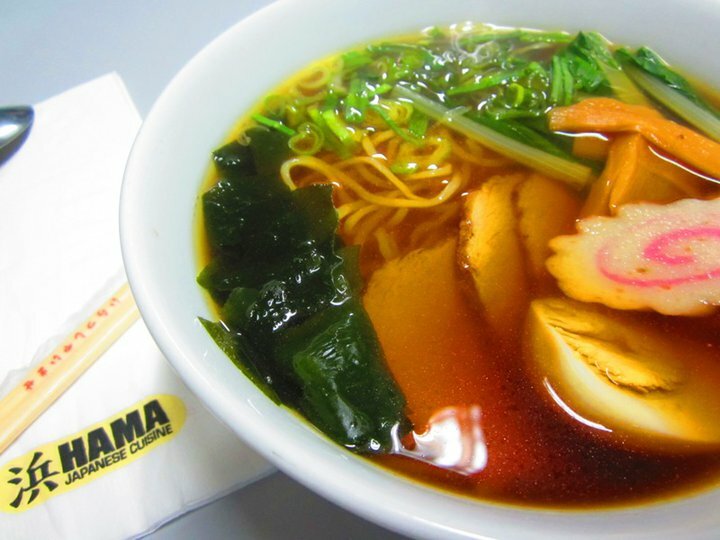 Hama lets you experience island Japanese dinning at its best! Never miss to try their amazing Sashimi Boat, Tempura, Teriyaki BBQ, Miso Soup, Ramen and all kinds of fantastic Nigiri. A great location in the heart of D’mall with Japanese delicacies served up by friendly staff faster than you can say “Oishii”. Newly renovated, formerly known as The Hobbit House – The Hobbit Tavern is still continuing its one of a kind restaurant and watering hole style. 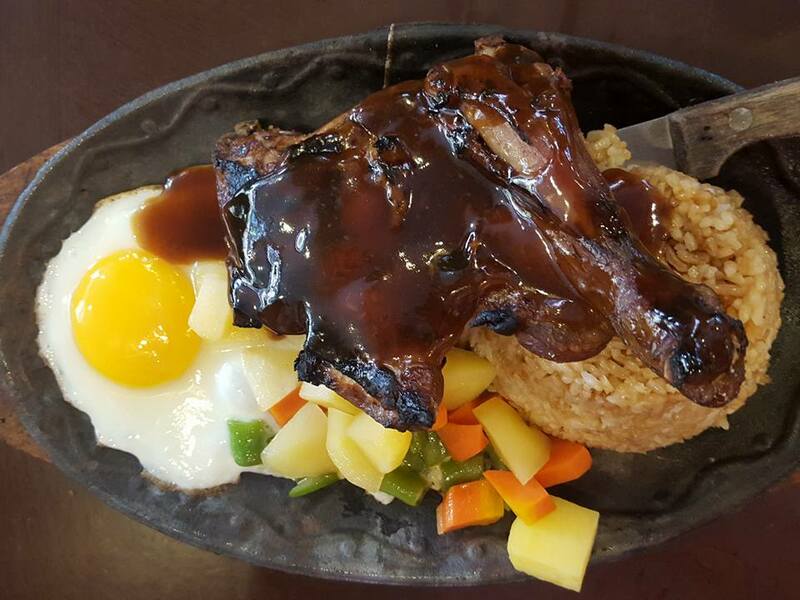 Set amidst a Lord of the Rings theme, the Hobbit House has small waiters serving delectable steaks and Filipino food, specialty best-selling drinks like the Green Dragon, and a variety of local and imported beers. It also has acoustic bands in the evening that will sure to entertain, and get you moving and grooving. A definite must-stop on the island! 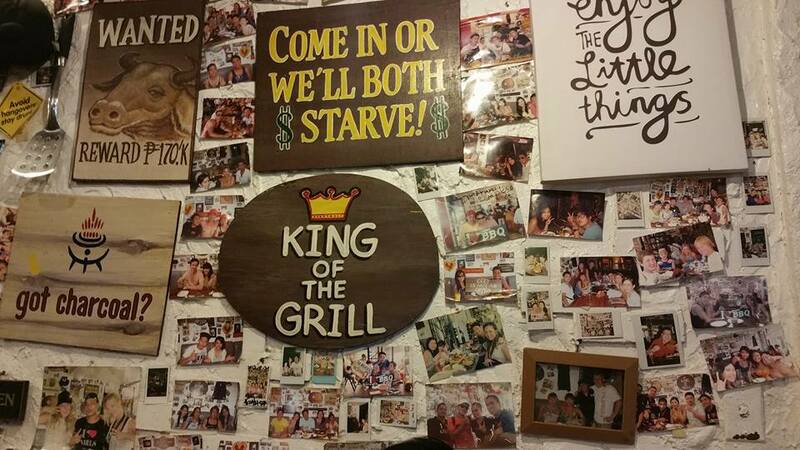 For all BBQ lovers, this affordable restaurant will let you enjoy barbeque specialties such as sausages, burgers and other sizzling dishes. 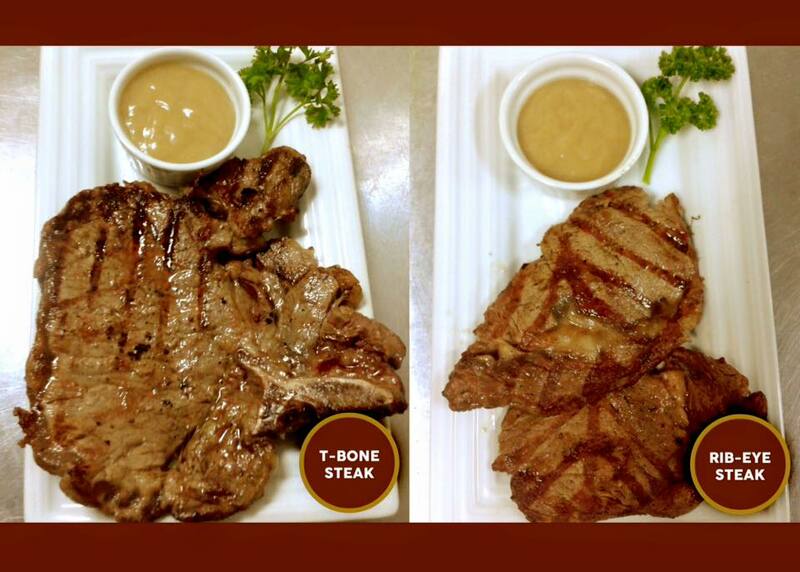 Please yourself with steaks and ribs in the “doneness" you prefer. Be amazed with their creative walls designed to entertain! This 24 hour restaurant is said to be the first fast food restaurant on the island by a New Yorker. This is the first lifelong tourist serving burgers, hotdogs, fish n’ chips and other goodies. 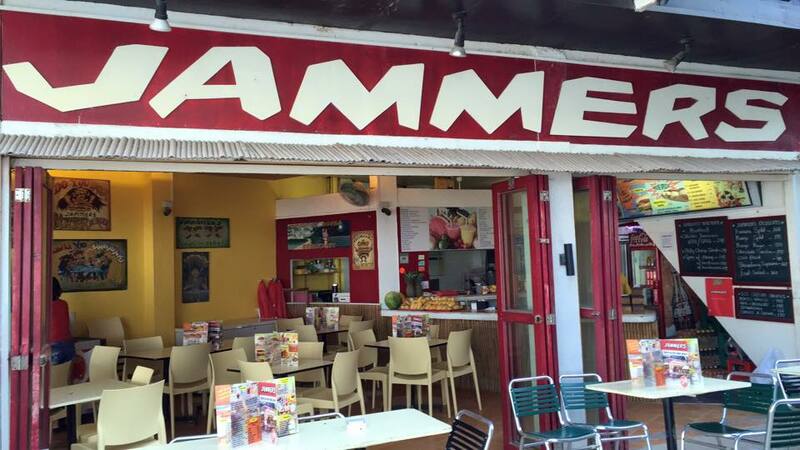 Jammers is a great place to stop and have a bite after a late night party. For some, stopping by to close the night off is a tradition. Ka-on is the Tides Hotel’s rooftop Filipino restaurant. 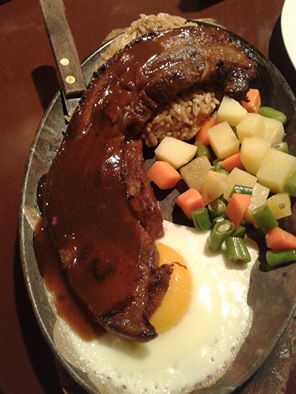 It features rich Filipino culture of diverse and delectable dishes that are regional in origin. The results are sincere. Its main concept is simplicity but with sincere outcome. More or less, they want you to taste good Filipino food. 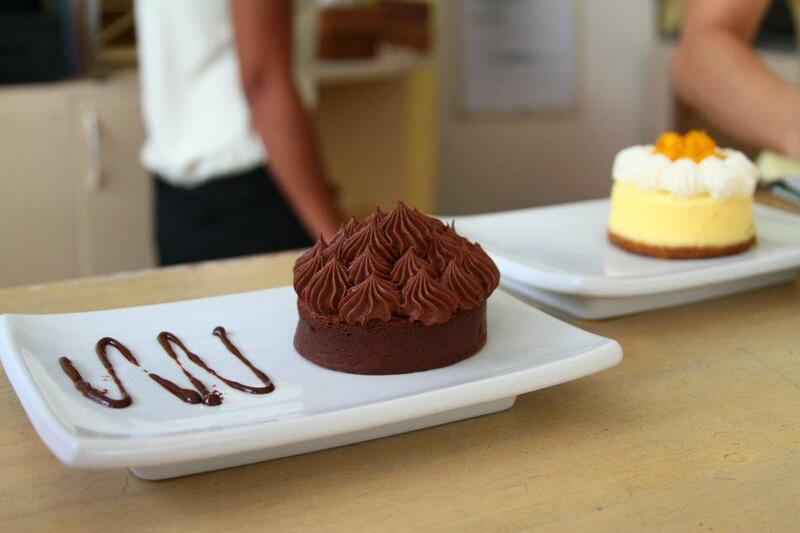 If you have a sweet tooth, then this is one of the best places to check out on the island. 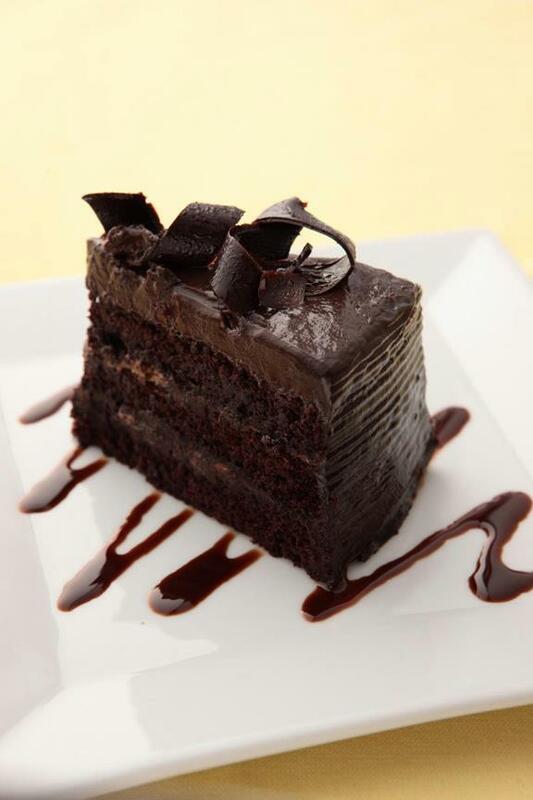 Their cakes are simply irresistible. 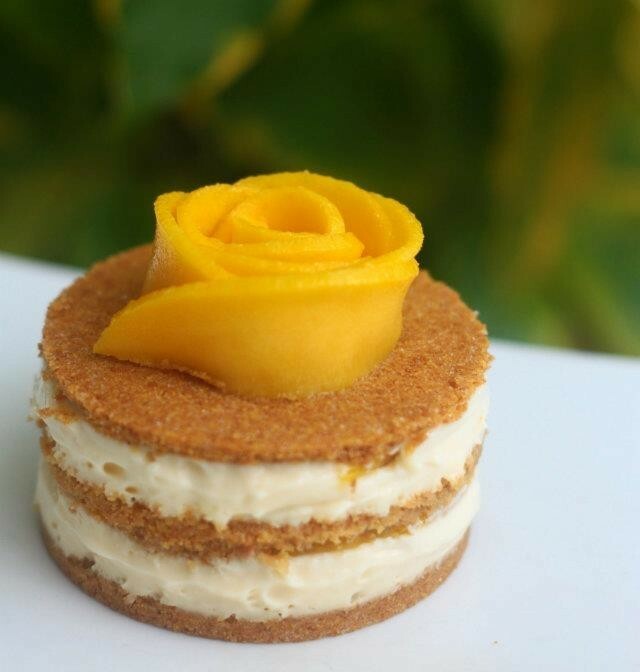 Their Mango Madness is simply marvelous. 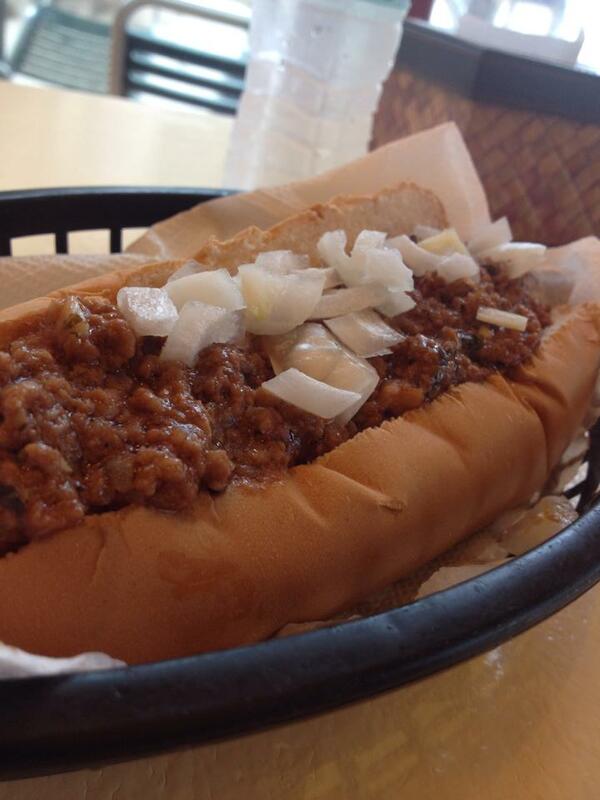 Open for breakfast, lunch, and dinner, no matter how many times you’ll stop by, there is always something worth trying. Ole gives you the best of the best of the Spanish cuisines. 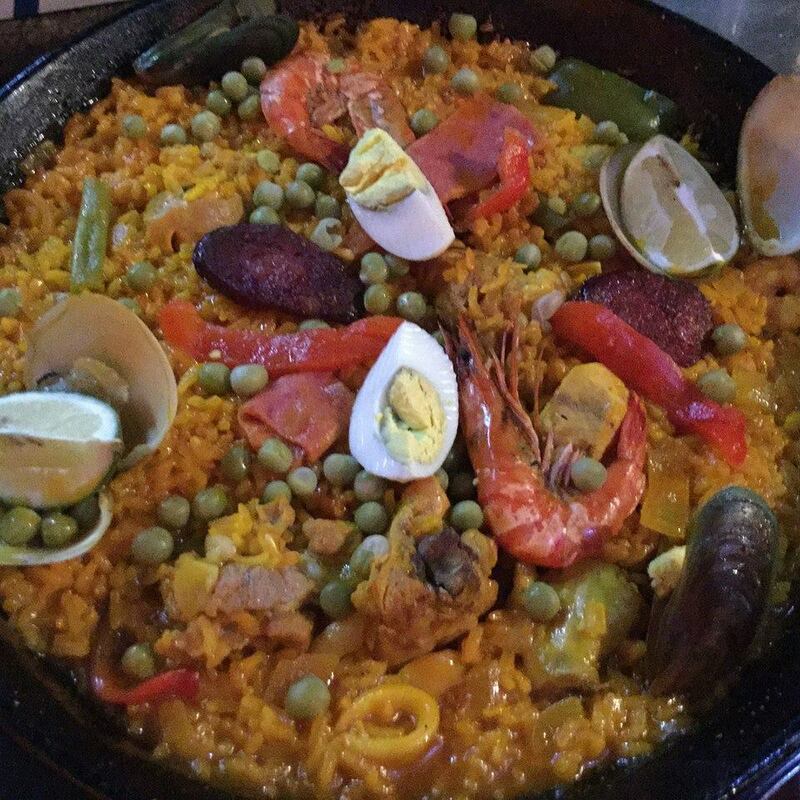 Ole boasts their specialty Paella which is a popular Spanish rice dish. 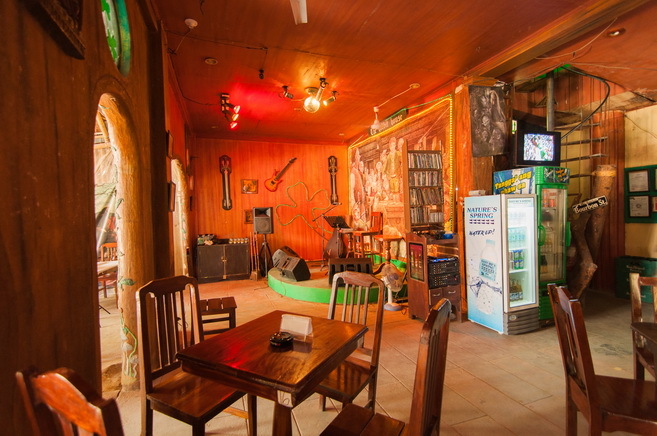 Ole is also enjoyed by a lot of tourists because they have a wide variety of imported beers, perfect while you’re listening to their live music every night. 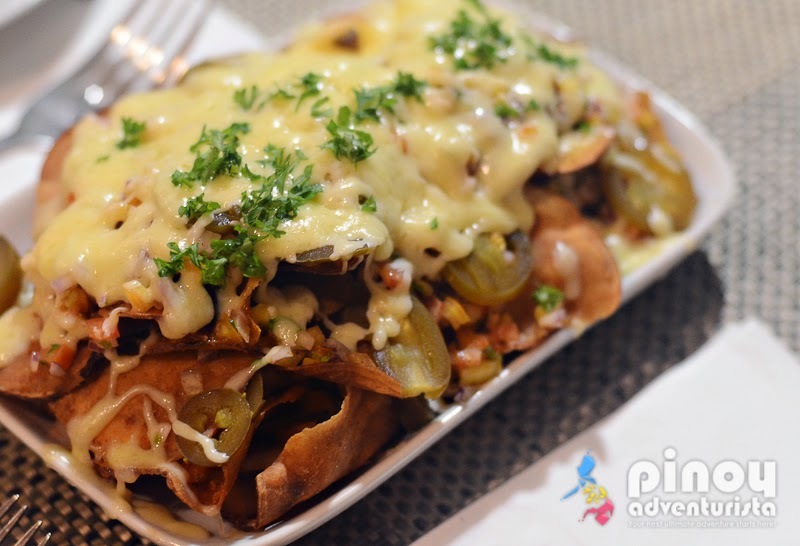 Your time at Ole will surely be worth it – It’s not easy to find quality mexican food in Asia. 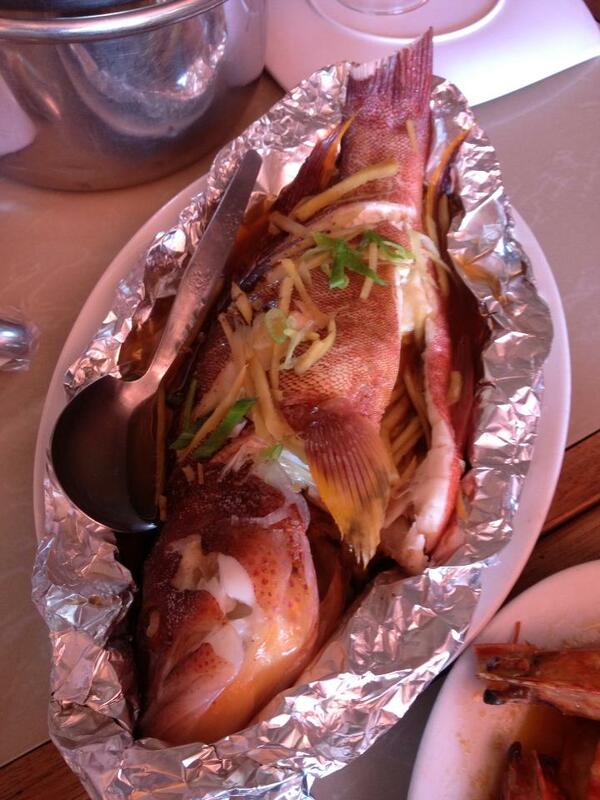 Plato de Boracay offers cooking services at reasonable prices and will cook your fresh seafood any way you like. 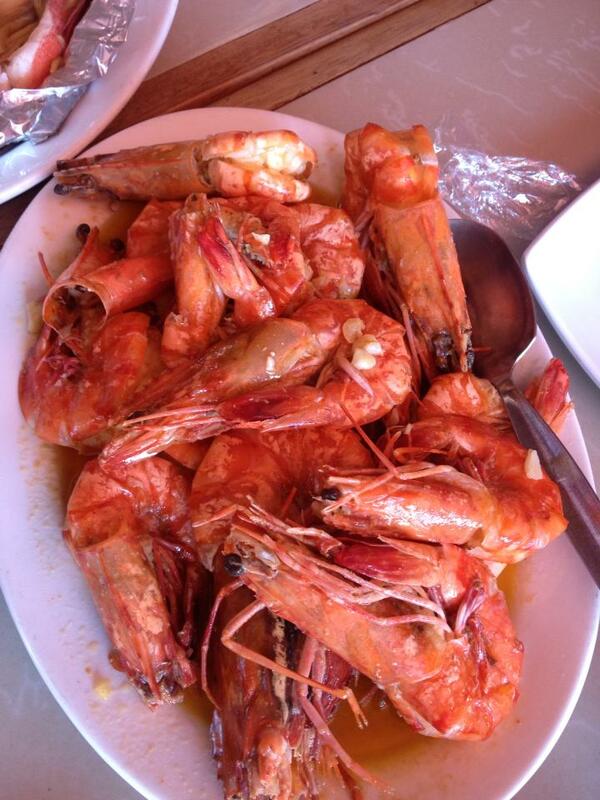 You can choose from Grilled Clams, Buttered Crabs, Prawn Sinigang, and more. This is where you can definitely taste a Philippine styled seafood dish. They now have two convenient branches at D’mall and D’Talipapa. 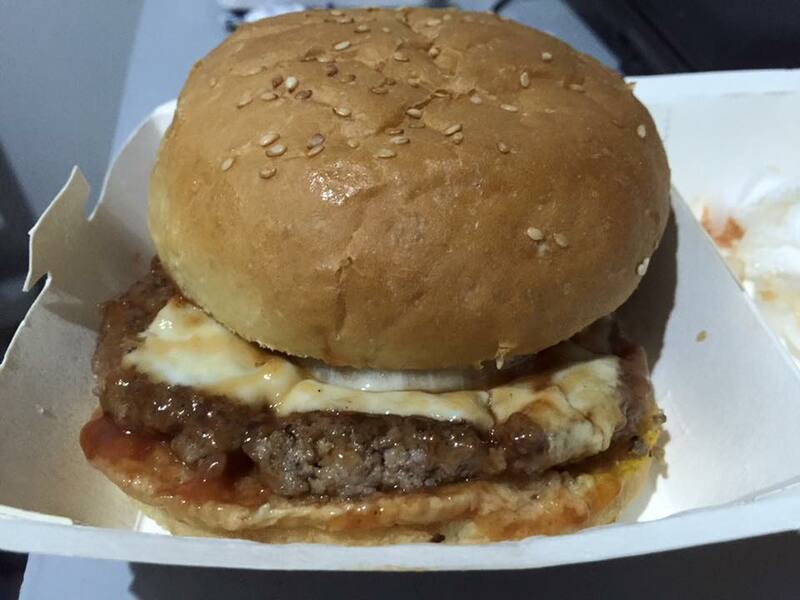 Found at the right at the back of Budget Mart, Thai Basil offers genuine Thai cuisines! 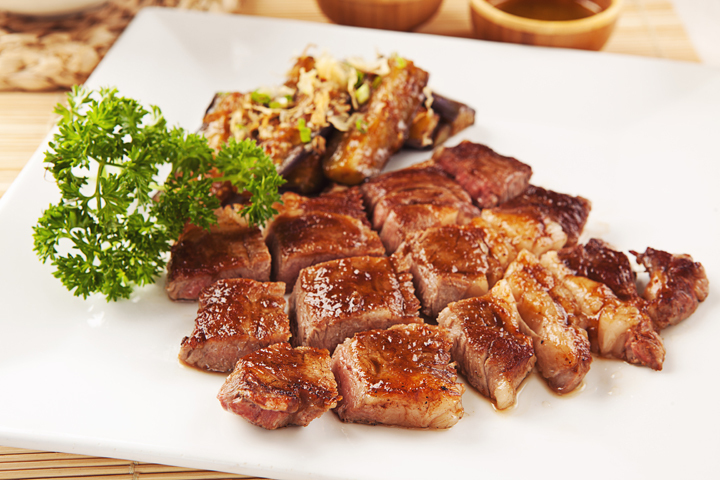 They provide a selection of extraordinary dishes from Southeast Asia worth coming back for. 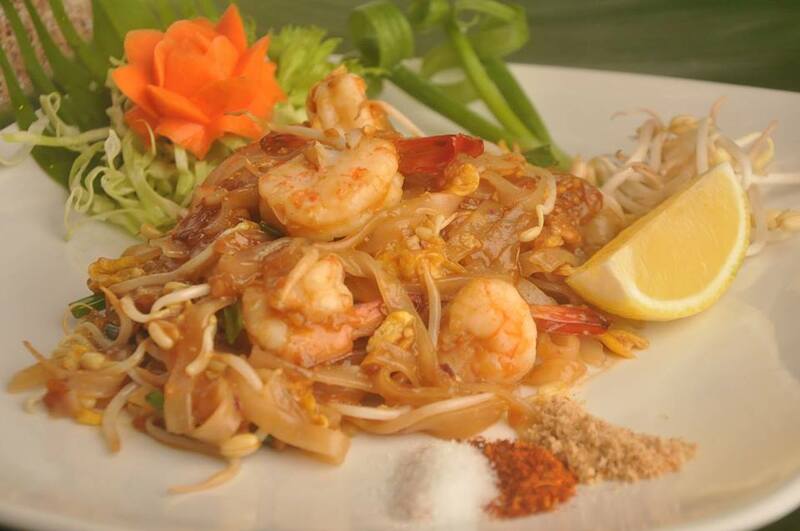 Try their best seller Pad Thai which comes in shrimp, chicken or vegetarian options. 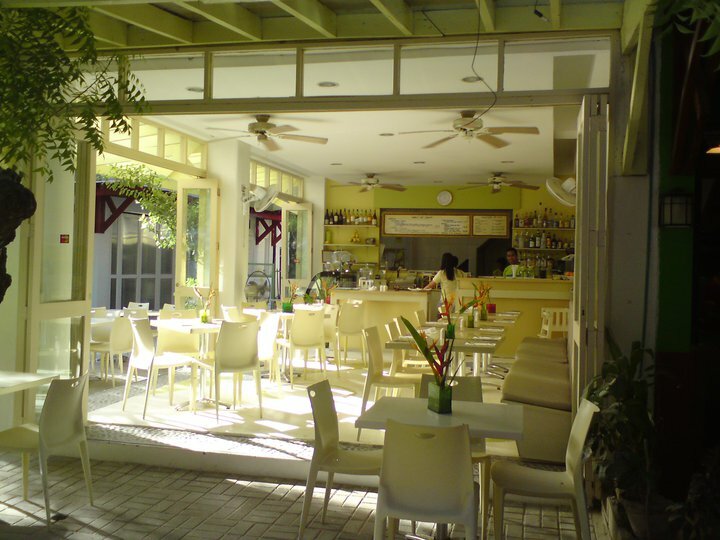 This air-conditioned restaurant located next to Crafts Supermarket will let you escape the heat of the island. 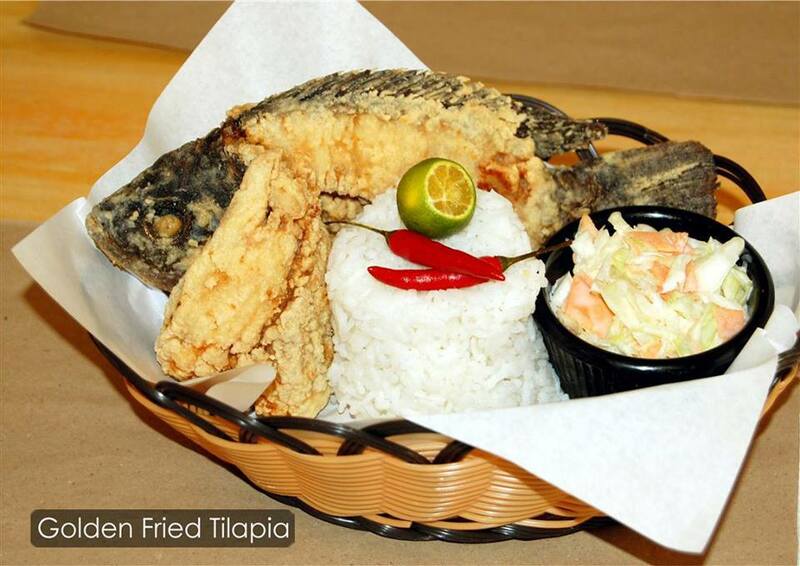 Indulge yourself with their Beer Battered Fish and Chips or a local version served with rice. 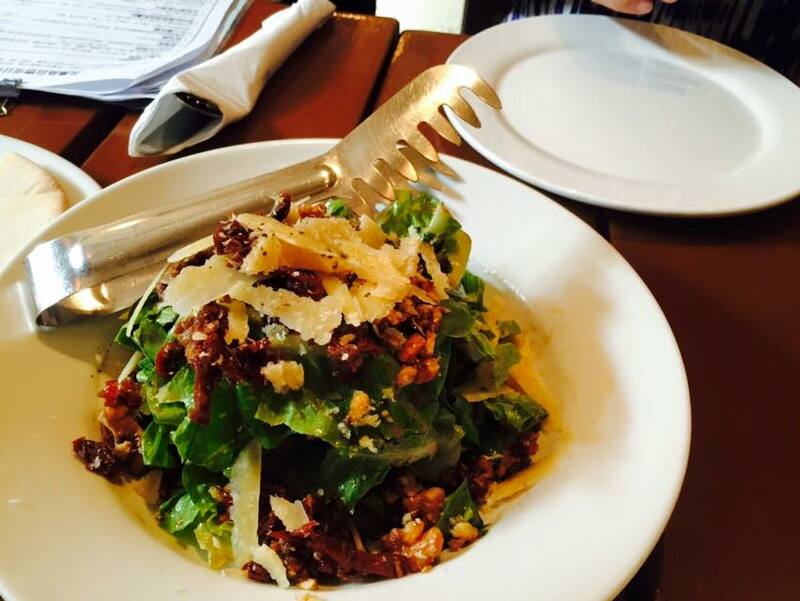 The prices are affordable and they also have delicious burgers and a children’s menu. 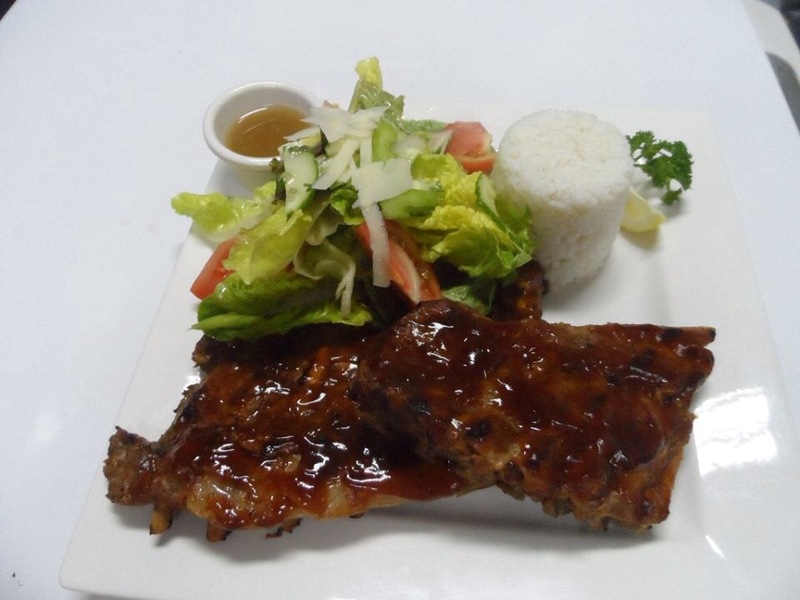 Also try their BBQ Ribs and Breaded Chicken with Rice and Iced Tea for only Php 99. 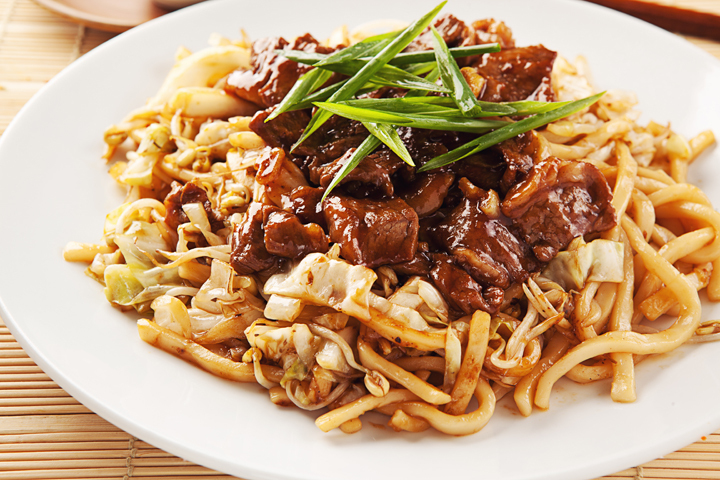 It’s a great place to find authentic western food in Asia. 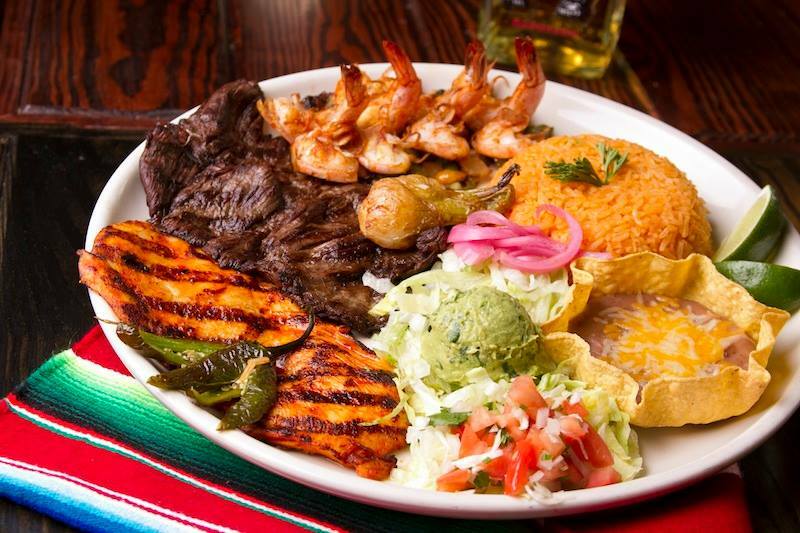 Tres Amigos is a Mexican restaurant found near Aria Gelato. 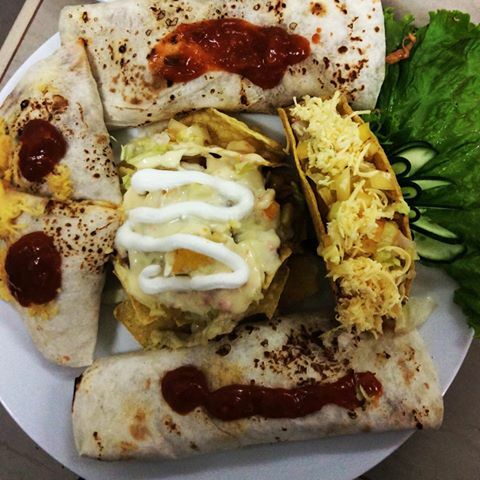 They have an open fresh feeling atmosphere; decorated with cool paintings wherein if ever you pass by, you can’t help it but to smell their fragrant Mexican dishes. 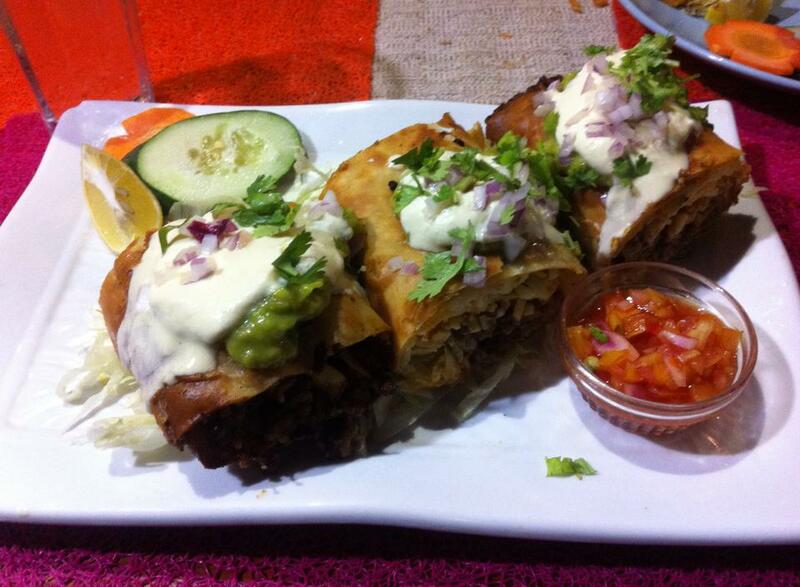 You must try their burritos, tacos, Mexican ceviche, and quesadillas. They also have the Tres Amigos Combo! This restaurant offers feasts designed for for heroes! Big and extravagant portions, excellent service and conveniently located in the middle of D’mall, this is a must try for everyone. 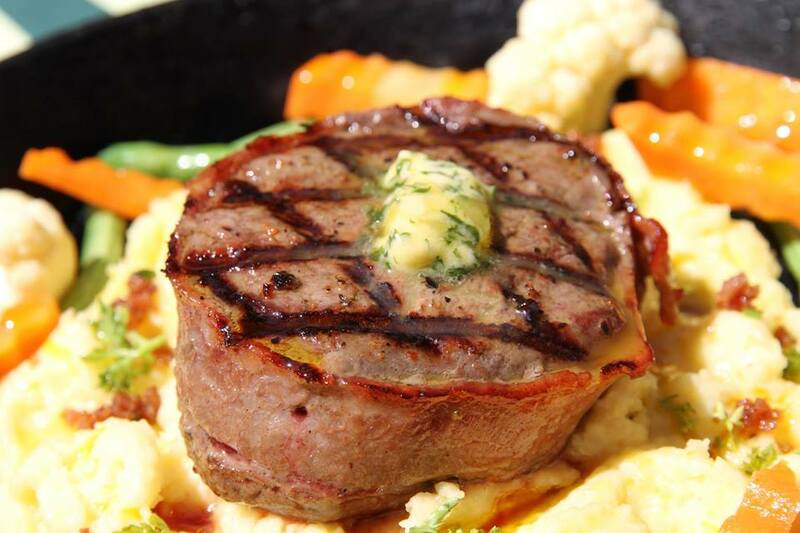 When dining at Carnivores I recommend their ribs, steaks and seafood – it’s grilled to perfection. 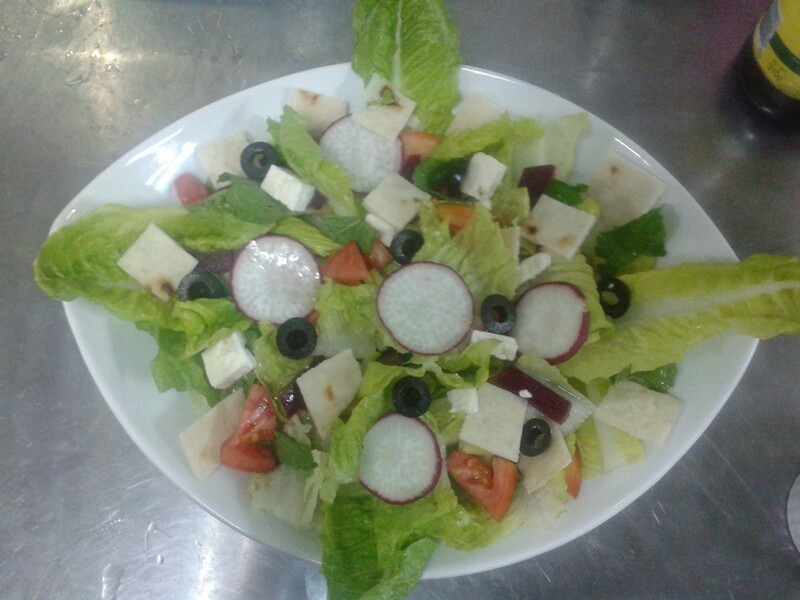 There are also fantastic salads designed to keep our friendly herbivores happy. This is the kind of place you could bring your group to on the last night of your vacation, and be confident that everything ends on the highest high note. This entry was posted on 星期二, 二月 7th, 2017	at 5:19 下午	and is filed under Populars, 最近	. You can follow any responses to this entry through the RSS 2.0	feed. You can skip to the end and leave a response. Pinging is currently not allowed.